We have had several comments from our franchise users that they are receiving this message when they log into their GPStoGo account with the new GEOTAB Checkmate 5.6. People were concerned it may have been a hoax. So, please note this is not a hoax and is legitimate authorization you need to give to Google in order for your interface to work correctly. 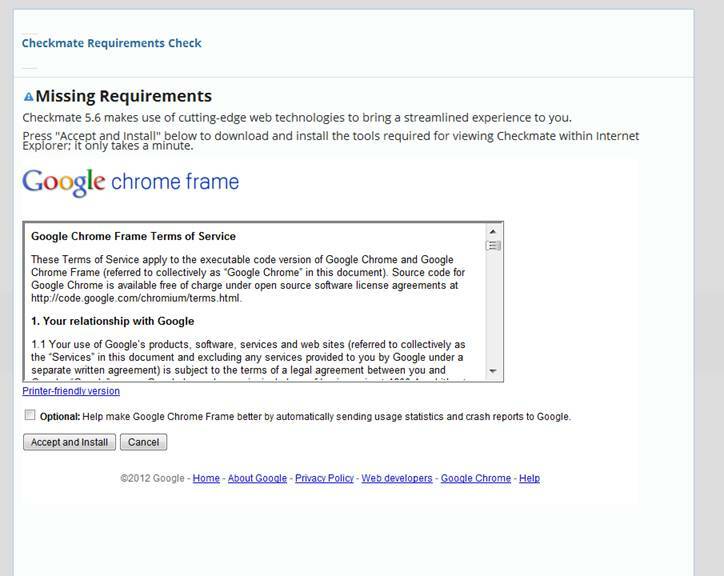 All you are doing is agreeing to Google’s terms of service so that Google web and map technology can be streamed through the Checkmate interface. So please just click ‘accept and install’.